Share the post "Podcast Episode 32: The Pros and Cons of Long-Term Clients"
Should you take on one-off projects as a freelancer, or only work with clients who promise long-term work? What are the risks associated with long-term clients? And how can freelancers turn clients who started off with a one-off project into clients who work with you for an extended periods of time? In this podcast, Lorrie and I cover it all! LH: Hello and welcome to Episode 32 of A Little Bird Told Me: the podcast about the highs, the lows, and the no-nos of successful freelance writing. You can find us on the web at alittlebirdtoldme.podomatic.com, and there you can subscribe to the podcast in any number of ways including RSS feed, iTunes, Stitcher Smart Radio or just on the Podomatic page itself. You can also find the link to our Facebook page where you can post any thoughts or questions you might have, and there are also links to our websites and individual social media feeds. PW: And I’m Philippa Willitts, and today we are going to talk about the pros and cons of having long term clients. As a freelancer some of the clients you get will be a one off, they might want a particular task doing and then that’s that, whereas others want you on a more regular basis, either doing a set amount of work each week or each month, or sometimes you work with them over a long period of time but just as and when they need you. So yeah, so we’re going to look at there are benefits and there are disadvantages really of both long and short term clients, and so that’s what we’re going to look at today. LH: Like with deciding whether to charge by the hour or by the project deciding whether to have long term clients or just one off clients will actually shape the way you work quite significantly and like with the payment options it’s something that needs to be right for you. You know it varies from person to person. It might be something that you find you have only a little control over when you first start out because you just take in whatever work you can get, but as you start to see results from your marketing and your business development you can decide which sectors of the market to target and how, and that will give you slightly more control over whether you attract people who are looking for a one term collaboration or a long term collaboration. PW: Yeah, as Lorrie said when you first start out you don’t have much choice really over taking long or short term clients. You take what you can get and that’s the right thing to do, but quite often what begins in a discussion as a one off project will turn out to provide you with long term work anyway. Clients are understandably nervous about taking someone on they don’t know and saying, “Okay, we want six months work from you.” So they might well initially say, “Can you write three press releases for us?” and then if they like not only your work but how you work and, you know, your attitude and that kind of thing it can develop into a long term client. So equally if you would prefer lots of long term clients don’t turn down work that looks like it’s just a one off because that’s often how long term work starts. LH: No, that’s very true. You know somebody might say, “Oh, we’d like a website redoing” but, you know, if they’re integrating a blog into their website, for example, you might pick up on the clues that if they can’t do their own website content they’re not likely to be able to do good SEO blog content either. So have a look for the opportunities that appear to be presenting themselves and then if it is only a one off thing you’ve not really lost anything. PW: No, not at all. LH: If you prefer to work long term with people a one off collaboration, it’s no great loss, it’s something for the portfolio and it’s something that will keep your bills paid. PW: And it’s a new contact, someone who might come back later or recommend you to someone else. PW: I mean in terms of the positives of having long term clients I think the most obvious thing in favour of it really is that it results in regular predictable work, which results in regular predictable income. You can start carefully to rely on a set amount of work coming in and you can feel reassured that week after week after week you might not have to do as much marketing or finding new clients because you do continually get assignments from these one or two or four clients. LH: Yeah, definitely, and in terms of managing your workload as well, whether you’re doing the work, or in my case you’re doing some of the work and then outsourcing other pieces of work, it helps you to get into a regular rhythm and that’s something that I quite like and I know that both you, Pip, and I have traditionally busy and quiet days every week. LH: You know for Pip I know that Wednesdays and Thursdays are very, very busy days, whereas perhaps Mondays and Fridays are days on which you can fit in slightly more internal deadlines, things like marketing, admin, finance, that kind of thing. PW: Yeah, I mean it definitely helps you to plan your week out, doesn’t it, because you may get someone contact you on Monday and say, “Oh, can you do this by Friday?” but equally you know that every Wednesday you have three blog posts to do for that client and you can have a picture of how your week’s looking. LH: Yeah, I tend to just block out days or hours of days more accurately. LH: And know what I’m doing on a Monday morning or what I’m doing on a Monday lunchtime. You know I know that I need to get the story suggestions over to certain clients by Tuesday afternoon. So it helps me to just shape the rest of my week and know when I can fit in ad hoc pieces of work, if somebody wants something one off, and when I can’t. PW: Yeah, definitely, definitely I’m the same. You can also feel reasonably confident with long term clients that you know what you’re doing and that the work you get will be something you’re familiar with and capable of. If you get used to a mixture of, say, case studies and blog posts you can get really good at doing not just those styles of writing but doing them in the particular style that your client needs. LH: Definitely and it’s nice to become a valued part of a client company, even though you’re external, because while you’re freelancing you’re not employed by anybody particular. Sometimes it is a little bit isolating and it’s nice to feel that, you know, over time you get to know the people in the company and you get to know the big players in the company sector and you get to know the trade press publications and you can start, if you want, to get more involved in the marketing process, or yes, as Pip says, you can just end up really, really savvy about what the client wants and you’ve reached the point where you deliver exactly the kind of content that they want every time, and often without much input from the client themselves. LH: Yeah, I have certain clients who say, “Right, we need blog posts. We need x number of blog posts per week. Can you come up with some ideas?” and I know the kind of thing that works for them and I know the kind of thing that people in their sector will want to read about. So that’s something that I can be really useful for them. LH: Definitely, definitely, definitely and it’s nice, you can do the same thing internally. You know I have some clients who’ve been on board for years and I can say to my contact person in that client, “I’ve not heard anything from Linda for a while” or, “I’ve not heard anything from Jim for a while. What’s going on in x department? What’s happening over in y?” You know you can realise that this company has different service areas and different key members of staff who are likely to have good ideas or they’re up to something that is worth blogging about or worth writing a news story about, and sometimes it just takes you to prompt your contact person. LH: You can come up with some really good stories and really good extra work out of it. You know it’s a win-win for everybody. Content marketing is hugely important for a company. It’s massively, massively important to have really good quality content, not just for, you know, the strictest SEO purposes but for viral marketing purposes, you know for share and share purposes, and if you can help your client come up with things like that it’s going to be just an extra string to your bow. LH: And besides anything else it’s a nice feeling to know that you’re an important part of a company’s marketing team and the thing is if you’re really savvy and you’re really forward thinking with your client you get recommended and word of mouth is such a powerful thing. You know I’ve had people contact me on LinkedIn and say, “Oh, you know, x person at x company’s told me about you. I thought we’d connect on here because I might be looking for some content work.” You know it really does work, you know, and I end up working for several companies who all know each other in various ways just because word of mouth has travelled from company to company. It’s a really nice thing. LH: As and when really. PW: Yeah, once or twice a month they’ll email me with a list of 12 articles they want and I’ll do them. So it’s not predictable in the way that we’ve been talking about can be quite nice with long term clients but it’s still somebody you already know, it’s somebody who trusts you already, it’s somebody who you presumably work well with and so you can have clients that are long term but not necessarily regular. If there’s a client who wants more regular work out of you over a long period of time they might work on a retainer basis where they pay you a set amount per month, for instance, for a certain amount of work. LH: Yeah, I mean retainers are a really good way to secure the long term arrangement and it goes for your client as well because with the retainer… I work on a retainer basis for a couple of companies and it tends to be that I invoice them at the start of every month for a set amount of money and they expect a certain number of, say for one client, press releases, news stories and blog articles per month. PW: Yeah, I work that way with several clients as well. LH: Yeah, so the number of hours for me, because I work on an hourly basis, the number of hours per month is arranged and I know what I can do in that number of hours. So effectively the number of pieces of work is arranged. PW: Sure. I do it on a piece of work basis in general but yeah. LH: Yeah, yeah it’s effectively the same thing because I tell them I can get x done in one hour. PW: Yeah and you complete the work that’s been paid for. LH: Yeah, I completely second what Pip said. Get it down in writing. Get it down in writing exactly what you’re going to get. It doesn’t matter if it’s like a proper agreement or if you put it in an email and ask them to confirm by reply that they’re happy with that because then you have it, you have it in your hand what they’ve agreed to. LH: Because you know I do have cheeky clients, you know I do have clients that say, “Couldn’t you do a couple extra?” and I say, “Well if you pay me for a couple of extra then yes.” You know I could do a couple extra but as it is, no. LH: Yeah, you just find yourself quitting if that were the case because I wouldn’t say that you’ve got no recourse but the only course of action you have is to quit, which is not ideal. LH: You know you can’t do anything to them if you don’t have a formal agreement you would just get more and more resentful and then stop working for them and that’s not really what anybody wants, and people forget that you’re a freelancer and that you’re a single person and that you’re not a company you know, because we all like to feel like we’re getting a bit extra from a company, you know. LH: I bought a pair of shoes the other day and there was a scuff on them and I asked if I could have some money off and she said, “Yeah, yeah that’s fine, we’ll give you 10% off and, you know, it’s non-refundable.” So I said that’s fine and when it came to the till she knocked off a fiver out of £15. I was like that’s a big 10%, but I felt like I’d won the day. LH: I just won these shoes. PW: Yeah, some chocolate or toothpaste or bread or all sorts of things really, and the joy you get just for getting a free loaf of bread, you feel like you’ve beaten the system. LH: You’re a sucker for marketing. PW: I know, it’s really bad but you do feel… people want to get the most out of what they get and if what we just talked about in terms of retainers you might be thinking, “But £400, but for how much and what do I do?” Do go back to the beginning of the year. We did three episodes about finance. PW: We did one about how to decide what to charge, one about kind of the nuts and bolts of invoicing and charging and one about how to increase your rates and if what we talked about in terms of retainers just left your head spinning with 8000 questions you’ll probably find that a lot of them are answered by those three episodes. LH: And if not come and have a chat. Yeah, we’re happy to go over things. If you let us know on our Facebook or our social media that you’ve not followed something, that you’ve had a listen to those three episodes and you’re still not getting it we’re happy to chat to you on Facebook, we’re happy to chat on Twitter, we’re happy to even record a podcast if we think there’s enough in it for a whole episode. PW: Yeah, absolutely because, you know, we’re aware that while we do try to make all the information we give as accessible as possible because we’re both doing the job full time, and have done for a while, there may be things that we think are just a given that we’ve kind of maybe forgotten are more complicated than they sound. So, you know, if you feel a bit lost or if you’ve got any questions that we haven’t covered yeah, do let us know. LH: Definitely you know, and just to sum up on the retainer business, I think it is a pro. I think being on a retainer is a positive thing because you’ll find that retainers are mostly monthly and it’s just a certain amount of your monthly target, because I have a monthly target for my salary, it’s a certain amount that’s accounted for and it’s a certain amount that, like I said about the weekly work, you get used to it being in the rhythm of your month. LH: You know you set aside a day or two days, or whatever, you know perhaps spread out actually over several days but that amount of time and you get the work done and it’s nice, it’s nice to have somebody on board as long as you’ve made sure that the terms are favourable to both you and the client. PW: Yes, absolutely, because much as you don’t want to feel resentful about the work you’re doing you also are never going to have a good relationship with them if they feel resentful about how much they’re paying and whether they’re getting value out of it. LH: Yeah, better than good, it’s vital, you’re right. If you have a long term client talk to them. You know I have long term clients, I have long term connections, I have long term people working for me and it’s important to check in with these people regularly and say, “How are you feeling?” Like don’t invite clients to ask you to drop your rates. They’ll say, “So how are you feeling about that massive invoice that I just sent you?” you know because if you’ve taken the advice that we’ve given you and you’ve worked out your hourly rate or your project rate fairly then alright, your client might be stinging when they get a large invoice but they will be paying a large invoice because you’ve given them a large amount of work, but what I mean is sort of say to them, “How as that press release? Was that in line with everything you wanted? How are you feeling at the moment? How’s your marketing going? Do you need any more? Do you need any different types? I’ve noticed that we haven’t done any case studies for a while, how about that?” you know keep talking and you’re likely to find that they’re more satisfied with your work and that they’re more likely to carry on with you on the long term. PW: Yeah, exactly, opened the channels of communication and what actually happened was that there was an issue with the finance department of his business. It wasn’t anything to do with him not being happy, it was a communication problem between him and his finance team. So the invoices weren’t being processed properly but it meant that I felt better because I was confident then that I hadn’t done something wrong or that he wasn’t pleased with my work and our relationship got back on track again because it had been getting quite awkward. LH: Well of course it will if somebody’s paying you late and you don’t know why and they just carry on doing the same thing. PW: Yeah, yeah. So that kind of communication, it’s vital in every… you know in all sorts of areas really. LH: Definitely and especially in an age where, and we’ve talked about this before, where email is so prevalent over phone contact it can be easy to really distance yourself and, you know, some people might like that but I really don’t enjoy having clients for whom I produce work but with whom I never speak. LH: Even if it’s just a bit of chat over email. I have some clients, and I’ve had them for months or years, well not years but I’ve had some clients for months and I’ve literally never spoken to them. PW: Yes, yes it is weird. LH: So I don’t know what they sound like. LH: You know and some clients I will probably never speak to on the phone. You know some are in different time zones, some aren’t native speakers of English and I think they’re just more comfortable with communicating by email, some we just don’t need to but it’s nice to have a little bit of friendliness and I think if you show yourself to be open to communication, and you communicate in a nice way, again that’s going to facilitate a good working relationship in future. PW: Anyway, we were talking about the pros and cons of long term clients, so I think we need to get back to that. In terms of the cons one of the negative aspects of regular clients, long term clients is that you can get bored. You don’t have the challenge of finding new clients, of taking on pieces of work that are slightly outside your comfort zone, understanding a new company’s style or of writing about a new subject and so psychologically you can get bored but also your writing can get a bit tired. LH: No, it’s not good when your writing gets tired because it’s immediately obvious to anybody reading it, you know, and I would go as far as to say tired writing just doesn’t get results. LH: It’s not persuasive. 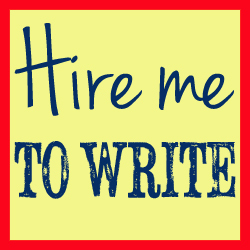 If you’re not putting it in to your writing people aren’t going to get it out of your writing, it’s quite simple, and it can also be an issue in terms of working for the same client if you’re charging by the hour, which of course as I’ve said I do. Where I find that my online news articles for one client, say, now take an hour previously, when I was getting to know them, they might have taken 90 minutes say, and it’s not inherently a problem for me because I get a lot of work from all of my regular clients and as we’ve discussed before, I make sure that I get a certain amount of work from them, if not on a retainer basis then I’m quite an active pursuer of work with some of my regular clients because I know that if I suggest something to them the worst they’re going to say is no, you know they appreciate me finding work. So I get, you know I get a lot of work and if I find that, “Oh, that didn’t take very long” I’ll search out something else and see if they fancy me doing that for them as well, but imagine that you’re just doing a few one hour pieces of work for someone every month, say you’re doing four hours of work for someone every month, and then over time you find that they’re only taking you 30 to 45 minutes it can start to feel like a bit of a waste of time because with every client you have to keep up to date with the developments and the trends in their sector to prevent exactly what Pip was talking about. You need to prevent your writing getting stale. You need to be able to write informed, relevant, up to date, key word rich content for your client but if you’re spending more time doing that background research that’s needed for your client rather than spending that amount on paid work it can be a bit of a pain and it can actually not be worth your time. LH: …two hours a month on that? PW: Yeah, it’s keeping on top of that in Google Reader, which we’ll lose Google Reader. LH: Do you know, I’ve never used it but I’ve noticed like tears before bedtime all over my social media. PW: I am not the only devastated person. LH: Poor thing. What are you going to go with instead? PW: I think Feedly but I’m not sure. Someone started a Government petition but the Government rejected it [laughs]. LH: I’m not surprised. Oh, desperation’s palpable at this point. LH: But it takes time, doesn’t it? LH: You have to get in the zone for a bit of Health & Safety unless you’re really passionate about the subject and getting in that zone you’ve got to sit down and make time for proper engaged reading. You can’t just skim read things like this because you have to know in-depth what you’re talking about. PW: Yeah, yeah and so having all that going on and that resulting in two hours a month, like Lorrie says, it’s not really worth it. If it results in 20 hours a month that’s a different matter. LH: Yes, yeah. So that’s perhaps another reason in favour of paid per project rather than paid per hour but if you’re like me you know I am committedly paid per hour for myself. For some reason it’s just what’s worked best for me and it’s what I’m cosy with. PW: And that’s what it’s all about to be honest. Throughout this podcast what we always say is, you know, “I do it like this” and then Lorrie might say, “And I do it like this” and we’re not saying you must do what I do or what Lorrie does. We’re presenting you with information about different ways to do it and you know what works and then, you know, make your own choices based on what suits you. I do a bit of pay per hour stuff. I can see the benefits of it but I’m more confident with pay per project. It’s all about what works. PW: [Laughs] Team Lorrie: hourly wages, Team Pippa: project pay! LH: I see a few tee shirt sales coming from this. LH: But yeah, you know lives aren’t the same. My life’s not the same as Pip’s and our lives aren’t the same as yours. So whatever works best for you really. PW: And try a few things out if you want to. Yeah, I warmed more to pay per hour when I did quite a lot of it for one client and I started to see more of the benefits than I’ve been able to without having done it in any considerable way. LH: Yeah and likewise, you know when I started working on retainer I saw the benefits of pay per project. LH: You know it’s all where you are in your life and your career at that time and what works there. PW: Yeah. If you’ve got one regular client that provides the majority of your work a possible problem with that, and this would really bug me I have to say, is that you can start feeling like an employee. You probably chose to become self-employed for many very good reasons and feeling like you’ve still got a boss who expects to know where you are and gives you most of your work and they’re dictating what you do and when you do it you might not feel that different to when you were in someone else’s office. LH: Definitely and I’ve got experience of that. You know, as I say, I do have… most of my clients I would say are long term clients. You know I don’t do that much one off work compared to the amount of long term work I do simply because I outsource a lot of my long term work so I can keep more of it on but yes, I’ve certainly experienced it when one particular client forgets that you’re not their employee. LH: And they’ll send you an email sort of last minute about something urgent and then they’ll be phoning you and phoning you and phoning you and there’ll be this tone of sort of not belligerence but sort of, “Where were you?”, “Oh, I’m not your employee. I’ve done my work for this week and if you can’t get hold of me it’s because I’m busy with something else and I’ll get back to you when I can” and I’ve had clients phone me at 8 o’clock in the morning on a Saturday saying, “We need you to do this immediately” and I’ve said, “Well let me check my diary and it’ll be time and a half because it’s a rush job on the weekend” and that kind of brings them back to it, it’s a bit like, “Oh. Oh right, okay” and it’s, “Well no, my weekends are my weekends” and I do have to keep a certain amount of distance for this very reason. You know I do have to remind them sometimes I need to check what I’m doing for my other clients; I need to balance that with my other commitments. LH: Yes, yeah exactly that and it can come as a bit of a shock to clients I think. PW: Yeah. I do remember a point where the vast majority of your work was coming from one client and you were almost, well not even almost, you were very much actually caught up in office politics. PW: Which is really one of those things that when I went freelance I was glad to leave behind. I wasn’t having to deal with all the internal turmoil but yeah, there was a point with you when so much of your work was coming from one place that you may as well have been there in terms of dealing with that kind of office politics situation. LH: Very much. I mean when you start out it’s easy, as we’ve said before, to get caught up on one client because you have to take as much work as you possibly can from wherever you can get it. So the way I kind of dealt with that, because you know that client’s still on board, they’re a great client, it’s just that they have so many different departments that there’s bound to be lots of office politics between. So what I basically said is, “I will deal with x person in this company. If anybody else needs to contact me by all means, feel free, but x person is my point of contact and this person should always be aware of anything that you’re sending to me. You should see this person in” and that’s cut down on a lot of the, “He said, she said but I thought we were doing this and I didn’t think we were doing that” and you know, as you say Pip, it’s easy for them to get caught up in thinking that you’re part of the company and to involve you in things that you don’t need to be involved with. PW: The point of asking for one contact within a company is good advice regardless of office politics. If you get in a position where… like quite often I find that a piece of work I’m doing will be used by, say, the PR department and the marketing department and you can get really caught in a position there where the PR department wants to pull you one way with it and the marketing department want to pull you another way. PW: Yeah, whereas if you’ve got one contact then the others can pass information through them but you’re only answerable to one person and it makes it much more doable and you can do the good job that you were going to do in the first place. LH: And that is absolutely fine for you to say that. PW: And often with something like press releases and case studies, I think in particular, you might need to get a handful of quotes from different people and quite often what will happen is your contact will give you other people’s contact details to get quotes. PW: And so you then send them all an email saying, “Could you give me, you know, three quotes on this new product that you’re selling” and then you can pick the ones that fit, and that’s all fine and most of the time they’ll get back to you, especially if you say, if you give them a deadline, “Get back to me by Thursday with these three quotes” but sometimes you do that and you don’t hear back from someone and you might prompt them and they still don’t hear back from them. That’s where your contact comes in handy because you then go to your contact and say, “I’m having trouble getting a quote from Margaret, could you try for me” because then you’re not in the position of chasing, which isn’t your job, and your contact is aware that you’ve got a problem that’s arisen that’s out of your control. LH: And I think going back to, because we’re coming up with loads of really good stuff and I think this is all a really good insight into what it’s like being a freelancer, to kind of take it back to the overarching theme of the cons of working for long term clients is sometimes clients won’t realise that that’s not your job. PW: Yeah, especially if you do do it for a while. LH: Yes because it’s easy not to know where the line is because you chase once, you chase twice and then you send it back to your contact saying, “I’ve not heard back from x person. I can’t get hold of them” and if a client wants me to chase I make it clear that I will charge for the time. PW: Yeah. Sometimes you do have to just go to a client and say something isn’t working. PW: And it’s hard because you feel like you want to… you feel like you’re making yourself look bad but actually if something’s going wrong over a period of time and you’ve tried various things to resolve it sometimes you do have to go to them and say, “This isn’t working.” I had a situation with a client really recently where we both really tried to make it work but for numerous reasons outside of both of our control really. LH: Yeah, there was no fault in this situation. I think I know the one you’re talking about. PW: Yeah, it just became clear that we weren’t going to be able to work something out and we had a very respectful conversation, we worked out a new way of doing it, which involves an entirely different way of working to what we’d planned, but had both of us not been honest. We tried, we tried different things but the way we’d started out was not working and it did come to a point where we needed to have that conversation rather than both kind of getting more and more unhappy. LH: But it’s nice that you both valued each other’s aims enough to have that discussion. LH: You’re wanting to deliver what your client needs. LH: And your client is trying to deliver what you deserve and have every right to expect. LH: You know that’s really, really nice. Yeah, so as you say, communicating a problem is actually showing that you value the client/freelance relationship. LH: So if you fit that’s not necessarily, you know it’s not necessarily going to be an unsolvable problem that your client might sometimes slip into the pattern of treating you like an employee. PW: …because you’re familiar with each other. So, you know, if problems do arise it might be easier to tackle them because you know them well. LH: And they say, “Oh well our contact in the finance department keeps losing your emails or keeps forgetting, so I’ll cc that person in in future.” So no matter what the problem is, or what the problem seems to be, it’s always best to try and solve it and to have a good conversation with your client company because otherwise there’s no real solution. PW: Yeah. I think the biggest risk that freelancers can face with regular clients is that if they disappear you can be in real trouble. If they realise they’re sending you an awful lot of work and it actually might be more cost effective to hire an in-house writer, if they decide to go with a different freelancer for some reason, if they run out of money or have a change of staff or, you know, worst case scenario but it’s happening these days, you know going bust, closing down altogether then if all or a lot of your work is coming from one place the majority of your income can disappear overnight because you’re not contracted to them, they’re not under any obligation to send you work. PW: And you can find yourself in real trouble, especially because the process of marketing and approaching new clients and building good relationships can take weeks or months. LH: Oh yeah, obviously, yes that totally happens all the time on the internet! It just doesn’t you know and to a certain extent there’s a risk that you can’t avoid. You know when you’re starting out I would 100% support you in taking as much work as you can get from any client that comes your way. LH: 100% and if they disappear it’ll be a kick in the teeth and it’ll be a pain in the bum and all sorts of other things but it’s not a reason not to do it. PW: No, it’s work you’ve had even if it’s not work that continues, so it’s still money in the bank. LH: Yeah but, as Pip’s pointed out, be aware of the precarious position you might be in. LH: Yes and don’t concentrate all your efforts on one client at the expense of others. PW: Yeah and that level of security shouldn’t be underestimated. I mean the biggest fear that freelancers have and the biggest fear that people who are contemplating freelancing have is, “What if I can’t pay my bills? What if I don’t get enough work?” and there is a lot to be said for the security of somebody who for the last 12 months has paid you every month a certain amount of money, or even varying amounts of money but still regularly. There is a lot to be said for that and we shouldn’t underestimate, even amidst the various disadvantages that we’ve talked about, but people do feel good with that element of security. LH: It’s nice you know and some of the writers that I hire, you know the way I work is that I have particular writers for particular accounts. LH: So for Client A and B I’ll have one writer who does regular work so that I know that my writer can get up to date with the sector and the trends within the company and the company style, but then it’s not a full time job. You know I’ll send over, for example, 20 hours a week to one writer which leaves that writer free to find other work. LH: So effectively it’s the same situation as my own. LH: You know it’s just branching out and spreading that situation a little bit further. You know I’ve got a certain amount of time per week that’s accounted for and the rest of the time that I’ve made free by outsourcing I look for different work and with my writers they have a certain amount of time per week that’s accounted for because I send them that certain amount of time per week worth of work. PW: And they’re in the exact same position where you might one day have a change of career or you might take someone else on if they’re suddenly not doing the job well enough, they’re in the same position where it’s brilliant for them that you’re providing them regular work but this isn’t guaranteed for the next five years. I mean for me, overall, a combination of long term clients and new clients works perfectly. I feel like I’ve got a degree of security from the long term ones but each of those provide only a certain proportion of my work each week or each month. I also keep marketing myself, keep approaching new people and keep doing either one off work for newcomers or developing long term relationships with them. It’s about not keeping all your eggs in one basket and it’s also, and this is for me really important, about keeping a variety of work in my week. Different topics, different styles, different types of writing keep it interesting, because I can get bored quite easily [laughs] and they make sure my writing doesn’t get stale. LH: Yeah, no 100%. I mean with the way I now work I prefer having a number of long term clients because it doesn’t take up all my time. LH: You know, as I say, I outsource so it’s lovely to have that security on there and I know that the security’s being passed on to other writers, which makes me feel really good, but I do like the challenge that new clients present when they come on board. PW: Yes, I do too. It’s stressful but in a really nice way. LH: Definitely and I like it, even if I’m hoping they’re going to become a long term client it’s nice to have that freshness from a new person. I prefer not to work with people on a one off basis on commercial stuff. That’s a personal preference. There’s nothing wrong with doing that. LH: I prefer to work on a one off basis with literary editing stuff. LH: And that, by its nature, can be a very, very one off thing. LH: But that being said, you know I do like to follow up with people and the authors that I’ve worked with have often come back to me for different services. LH: Not always but, you know, sometimes. PW: I’ve had a series of people recently who’ve hired me to proofread their CV and they’ve been, without wanting to blow my own trumpet, so impressed with the feedback I’ve given them that they then send me a different version of their CV to proofread and their covering letter and their everything else. It’s like they’re suddenly going, “Oh wow!” and so it’s happened a handful of times just in the last few weeks where what started as a CV proofread, which I do quite a lot of and which is nearly always a one off, has actually produced more and more work, it’s really nice. LH: It’s nice to make somebody feel that they’re getting you know real excellent value from you. LH: And it’s the same, you know I’ve had authors come back, well I’ve had authors come to me for a developmental critique you know when they’re writing a book, you know, “Am I going around this the right way? What do you think to my proposed chapter structure? What do you think to my proposed plot? How’s the narrative working?” you know and then you wish them luck, you send them a developmental critique and then they come back to you and the book’s finished and you’re like, “Yay!” and you have a little celebratory moment with them, like, “Well done you” and they’re back for a proofread and an edit and I just really do prefer to work with people and companies over a length of time rather than just letting them ride off into the sunset simply because it’s nice to have history with people and also because I’m kind of nosy, I kind of like to know what’s going on. LH: So basically, in conclusion from a very long point, is that I don’t object to working with people on a one off basis and I can see all the benefits of it. I really do like a new challenge, especially when I’ve got the time on my hands to enjoy that, but my one offs just usually do end up becoming repeat regular clients and I do like that. I like having people on board. PW: I think that’s a really good reason to not turn down one offs on principle because I’ve had the same experience and one starts off wanting one thing and then if you do it well they do come back. LH: Yeah and I think like much of freelancing, as we said right at the start of this windy, wandering early morning podcast, it’s a personal preference deciding whether you want to work with long term clients or short term clients. It’s up to you. Getting to know how you like to work will determine what kind of clients you want to attract. You know maybe you’re a spontaneous sort of person and you love new exciting challenges and you’re not risk adverse. LH: You know and things have a way of working out for you. You’ve got a stream of incoming one off projects, in which case go for the one offs, enjoy it, enjoy the roller coaster. If you’re a little bit more like me and you’re nosy and you like chatting to the same people over again and seeing how things develop and you like the certain level of stability then go for long term clients. PW: I think there are people who need, when they start at 8 o’clock on a Monday morning, they need to already know exactly what their week looks like. PW: And then there are other people who can get an email on a Wednesday morning saying, “Can you do this by midday?” and they say, “Yes I can” and they do it. LH: And that would be fine for them, yeah. PW: Yeah and I’m neither of those, I’m somewhere in the middle I think. LH: Yeah, I think most people are. LH: I think it’s a continuum, isn’t it, and most of us will find ourselves wobbling about somewhere in the middle and it will change over time. You know sometimes you’ll want a bit more stability. You know I know a lot of freelancers that I chat to on social media are working mums you know and they’ve decided to stay at home while they’ve got young children. So a couple of long term clients would be brilliant for that. LH: You know say over the back end of your maternity period and then while you’ve got a new born maybe you wouldn’t take on so much one off work, you know maybe that would feel just too much stress for you, maybe it wouldn’t you know, which is absolutely fine, but to have a long term client ticking away in the background would be lovely. LH: You know do what works for you. PW: Yeah, yeah. So hopefully we’ve covered there some of the benefits and the drawbacks of long term and short term clients. LH: And a lot of other stuff in between. LH: That’s a good point. PW: …but will pay the bills and so you may prefer to have long term clients, but if you have no work and three short term people come up don’t turn the work down on principle. You know you’ve got to be sensible. It’s not all about it being perfect for you. PW: When it is all about it being perfect for you that’s lovely but it’s also real life and sometimes you have to do things you’re not 100% in love with. LH: And you’ve got to see the wider benefits as well. You know maybe a one off piece wasn’t what you were looking for. Maybe you needed another regular client to come on board, but think about how well you can do the one off piece, think about how many people that person knows, check out the sector that person’s in, milk that opportunity for everything you can get out of it. Talk about the work that you’re doing on social media. Say, “I’ve just had a really exciting piece of work on.” Tell people on your Facebook what you’re doing. LH: Client confidentiality accepting but, you know, say, “I’ve got a client in this sector and I’m doing a really exciting few case studies for them” or, “Just been taken on by a new client who wants a website doing.” Promote that situation. It doesn’t have to just be one off in terms of the benefits, even if it’s one off in terms of the collaboration. PW: And if it’s a new area for you, say it’s a particular… someone wants a website about a particular health condition, then you do all your research and you write the website and then use the research you’ve done to also then pitch articles on that health condition to three different women’s magazines, send some articles on it to constant content, you know, and approach other clients who need writing on that health issue. You can use what you get from a very short term piece of work to widen the work you’re doing. LH: Absolutely, I mean that’s such a good point. It’s all about imagination. Now it is time for our Little Bird recommendations of the week. PW: Lorrie, tell me about your recommendation. LH: Well I’m quite pleased with my recommendation this week because I always find myself thinking on maybe a Wednesday or a Thursday, “Oh, I need to recommend something” like, “What have I done?” and because so much of what you do as a freelancer becomes second nature it’s easy to forget that things that are a given to you could be something new and exciting to listeners. LH: But this week I have something that I’m quite pleased with. It’s nothing super intuitive, it’s nothing super fancy but it’s something that I’ve really been enjoying. Now recently I’ve been preparing, on my creative writing blog, for a particular blogging challenge and it’s the first one I’ve taken part in and it’s called ‘The Blogging from A to Z Challenge’. Now it’s an annual challenge. It involves choosing an overarching theme, say writing or reading or e-marketing or travel, photography, whatever, and producing a blog post every day in April, apart from Sundays. So that adds up to 26 days with the 26 letters of the alphabet. LH: …spread out across social media and, you know, people will stop by your blog and social media for a chat if you use these particular hashtags and you’ll find lovely readers and critics for your work, you know in terms of creative writing, which is what I’m blogging on, and you get the chance to read work by other writers who are tackling topics that you’re interested in. So whether it’s more creative writing or photography or travel, whatever, even if you’re not taking part in the challenge, and this is where my recommendation comes in, I’d recommend having a look at the hashtag, and it’s #atozchallenge. PW: I’ll link to the search results for that in the show notes. LH: Thank you and you’ll be able to see who’s taking part in the A to Z Blogging Challenge, and there’s also a complete list on the Blogging from A to Z Challenge website where you can browse by author, blog or topic. PW: Although, as Lorrie says it’s probably too late to start this one, there are lots of blogging challenges around. LH: Oh yeah, yeah, yeah. PW: So if you can’t do this one but you really like the idea do a search. There are lots of options and you can find one that suits you exactly. LH: Yeah, definitely. I mean this one is a big one in the sense of you have to blog every day in April, apart from Sundays, but there are some like there’s Friday Fiction or Friday Flash, I’m not sure, I don’t take part in that one, but every Friday people write a bit of flash fiction and they hashtag it up and it just helps draw a bit of traffic. PW: Yeah, you basically just have to do a blog post a day. It doesn’t give you any… there’s no further guidance about what it needs to be about, you just have to do a blog post a day and it’s quite good for discipline. LH: And motivation as well. PW: Yeah because this was my personal blog a few years ago and I’d really got out of the habit of posting there and it just got me back into the habit and I was able to start keeping it up again. LH: It’s lovely you know. So have a look around, as Pip says, at these blogging challenges and they’ve usually all got hashtags because that’s how you get people to know about them, of course. I blog in WordPress and you can search for hashtags on WordPress. You know you can have a look in your WordPress reader and search for the #atozchallenge in there and it doesn’t necessarily need a hash symbol before it but that’s the term that’s searchable and people are tagging up their blog posts with that and you can find brilliant new people to follow, have a chat with, give feedback to and it’s just a lovely thing for a sense of community, and as Pip says, getting you back into the swing of blogging if you’re a bit out of it. Now what this did all get me thinking about, you see I’m coming to my point, was a post I spotted a while back on a brilliant website. I love this website and it’s brilliant for research and training. It’s called Suite101, and we’ll link to that in the show notes, and the post itself is about the top 100 hashtags that writers and authors should get to know. Now it’s a brilliant resource. It’s just a list but it’s a list of all the hashtags that authors, marketers, bloggers, e-book writers, copywriters, commercial writers might need to find their fellow fish in the big social media sea. So I guess my recommendation for this week is kind of a theme rather than one thing in particular. I’m recommending that you use the amazing resources out there across blogs and social media and that you tap into the viral connections that exist out there between authors and writers and publishers and anyone who’s interested in the written word because, like with so many things we mention, it’s something that can have an immediate benefit, say can get you posting more on your blog or can put you in touch with other people, but I really do think the benefits ripple out. PW: Yes, absolutely. I mean hashtags are… my Tweet Deck has so many columns with so many different search results and lists and hashtags but yeah, it’s a brilliant way of finding contacts, learning new things. So yeah, great recommendation and good luck with the challenge as well. LH: So, Philippa, what is your Little Bird recommendation of the week? PW: My recommendation is a blog post called ‘How to Work with Me on a Low Budget’ and it’s written by a graphic designer and it’s all about… it’s basically a response to people who contact him and ask him to work for free. LH: Ooo, I think I’m going to like this. PW: Yes. It’s, as you know if you’ve listened to us for any amount of time, is an issue that we come across quite a lot. Now he’s very reasonable. He explains very clearly what the issues are. He says, “There are four scenarios where I can imagine people might approach me to work at a reduced fee. No. 1, you like what I do enough to risk a refusal. No. 2, you think I’m a soft touch. No. 3, you think whatever it is that you’re doing is more important than my son’s education or my health insurance. No. 4, you’re chancing your arm” and then he goes through various… he explains firstly why he deserves to get paid for the work he does, he explains why that’s not unreasonable and he also goes into, “If, if I say that I will do this for free these are very clearly my conditions and you certainly don’t have any say in these because I’m already working for you for free. So these are the things I expect from you” and it’s a good post. Yeah, he explains… he just explains it really clearly. I think anybody wanting someone to work for free should have a read because it does point out that they are being quite unreasonable but he’s also not just yelling at people but yeah, it’s an interesting post. PW: …for this one but yeah, that’s my recommendation and as with Lorrie’s it will be in the show notes at alittlebirdtoldme.podomatic.com and it’s by Larry Hynes. LH: That makes me so sad that we’re having to come up with new ways to tell people why it’s not okay to beg for work for free. LH: And again, you know, and the fact that we’re… you know it’s a brilliant article; I’ve just spotted it now. PW: Yeah, it’s good, isn’t it? LH: It’s fabulous and it’s really nicely laid out and it’s nicely written because, as you say, it’s not a rant. LH: It’s so easy to have a rant on this subject because, as we’ve just said, it’s again and again and again but yeah, this guy has actually come up with a way of really laying it out and I can see this blog post being something that people link back to for years. I mean looking at it it’s not even a new blog post. PW: No, it was written last August and it’s still doing the rounds, so. LH: Don’t think that you can just pat yourself on the back and say, “Right, here we go. I’m just going to get on with what I want this person to do.’ I’m going to lay it out and I’m going to get exactly what I would get from somebody to whom I was giving a professional wage.” You know there is a balance that needs to be met and if Larry Hynes is going to work for you for free his conditions are very, very clear and I applaud him for that. LH: No, I really, really do because like anything in life benefit has to go both ways, whether that’s financial or otherwise. PW: Absolutely, absolutely and the conditions he’s put in place for if, “It’s a very rare occasion that I agree to work for you for free” are kind of the things you would like any client to have but certainly are things that you don’t want to be messing about with if you’re not even being paid. Like one of them is, “I expect you to be organised. I expect you to communicate clearly, show up on time and have whatever information is required to hand. I expect you to sweat the details because you’re not paying me to do it and details are very important to me.” Now that’s the kind of thing that ideally any client, you know, would be doing but certainly if you’re not paying someone get your things together. PW: I know, I know. LH: Because for me I don’t want to talk… I applaud Larry Hynes 100,000% but I don’t like the idea of talking reasonably to somebody who is begging work for free. I will never be okay with it. PW: No and he’s been very clear that although these are his conditions for working for free he makes it very clear that that’s a very occasional situation where he nearly always says no and he gives good reason for it, not that you should have to justify not working for free. One of the things he says is, “Do you get paid? You know when you go to work do you get a wage?” Yes, you know, and have a think about that. LH: No, it’s like what we’re saying back in Episode, oh Episode 4, all the way back in Episode 4 when we were discussing a certain gentleman who was asking people to proofread his full length novel in return for chocolate. LH: Now, listeners, if you didn’t listen to Episode 4 it’s fairly ranty but it’s on this topic, so if you find that you’re liking this bit of the discussion go back and have a listen, or if you find that you’re not liking it go back and have a listen so you can come and have a bit of a discussion with us on social media, but as Pip and I pointed out I don’t send a bar of chocolate instead of money for my gas bill. LH: I don’t go into a shop and say, “Right, I really like that tee shirt. I’m going to buy it and here are two Toblerones” or, “Here is a bar of Dairy Milk.” No, people trade with money. PW: You know he’s not messing about. LH: 100%. I need to have a good proper read of this because I have a feeling that he’s got a lot of spikes that have come out for this. LH: And it’s good, it’s excellent, it’s a really, really excellent post because I think I’m stuck in the situation where I’m like, “But I shouldn’t have to say this. We shouldn’t have to justify it” but the fact is we do. PW: And certainly not for the 100th time but here we are having to do it again. LH: Yeah and here we are chatting sort of passionately about an article that’s talking about just that, exactly because it’s such a common thing. PW: And there will still be people on Twitter later today wanting free proofreaders. LH: Course there will, or beta readers as they call them. LH: Like I can see it, I can totally, totally see it where you say to people, “I’ve written something. I’m thinking about self-publishing. Can you let me know what you think?” That, to me, is a beta reader. LH: Aww, you’d be welcome to. PW: Yeah but you’d be the person I’d go to because I trust your skills and your abilities but I wouldn’t expect you to do that for free even though we’re very good friends because I know it’s as much a part of your job as the other things we do. LH: If, as I am now, I’m quite comfortable, you know I’m happy and I’ve got a little bit of time and, you know, I’m not struggling for any money at the moment then I would say, “No, pass it over” because it’s very much like paying for dinner for a friend. LH: Once you’ve been friends with somebody for long enough you don’t have to say, “Let’s split it 50/50” and you don’t have to say, “You get this one, I’ll get the next one.” One of you just pays and it just balances out at some point. PW: It’s going in titles, isn’t it? LH: Oh it’s so arrogant and I think we’re going to have to do another episode for it at some point. PW: We are because we’ve clearly not got it out of our system. LH: …caffeined up how strongly I’ll feel about this again. I’m sure we can tackle it again. LH: My recommendation, don’t ask people for free work. PW: Especially not if we’re watching. LH: Larry’s watching [laughs]. Poor Larry. He’s probably never heard of us and he’s being invoked as some sort of all seeing important freelancer. PW: [Laughs]. Anyway, thank you so much for listening. We love doing the podcast and we love that people really enjoy it, we love that people find it helpful. Do leave us reviews on iTunes and Stitcher and promote us on your blogs and on Twitter because we want as many people to benefit from what we say as possible. LH: Yeah, we always try and be responsive and flexible and we love hearing from you. You know if you’ve got any queries, as we said earlier, come and have a chat to us. We can answer you on social media, we can link you to useful blog posts, we could answer you in a personalised blog post if it came down to it, if there was something you particularly wanted to know that only Pip and I have the answer to. I can’t imagine what that would be. LH: [Laughs] but you know if it came down to it and you brought up something that would be useful for loads of our listeners we’d be happy to record a podcast on that subject. We’ve got a list of podcast subjects that we want to tackle over the next few months. We can always slot somebody in. So if you come up with something that you think would be a really good podcast episode let us know and we’ll have a chat. PW: Yeah, we spent 45 minutes the other day in a shared Google doc and we came up with three and a half pages of new topic ideas. So we are raring to go. LH: We are, it’s like a sweet shop and we want to get a bag full out there to you right now. So come and take part, come and let us know what you want us to talk about, it’s probably already on our list but we’ll certainly answer any concerns that you’ve got, any questions you have. So yeah, come and have a chat. We don’t bite, we’re nice. PW: Thank you for listening. I have been Philippa Willitts. LH: And I’ve been Lorrie Hartshorn and we’ll catch you next time.